Exclusive Distributor in India for the m&h Inprocess Messtechnik Gmbh, Germany (Hexagon Manufacturing Intelligence) Machine Tool Touch Probes, Tool Measuring Systems and 3D Form Inspect Software. m&h designs and manufactures high-precision, high-quality, process-reliable probe systems especially for use in machine tools. Technical innovation focused on our customers’ manufacturing processes lies at the heart of our development process. User-friendly software solutions, individual consultation for special projects and system installations complete the m&h product range. Kriatec Services is a authorized distributor of edgecam system, UK in India. Edgecam is a market leading computer aided manufacturing (CAM) system for NC part programming. With unparalleled ease of use and sophisticated toolpath generation, it’s the only CAM system you’ll need for milling, turning and mill-turn machining. Kriatec Services is powered by Experienced People in Cutting Tools area under the leadership of Krishna Kumar.C.P. 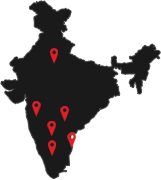 Kriatec Services supports all of its Clients by Experienced Application Engineers and Experienced Business Partners across India. We focus on Application Based Cutting Tools for the better Savings in Cost per Component. Kriatec Services (P) Limited established by Top Notching Industry Professionals to make the Cost Saving Techniques and Benefits available to the Industries through Software Products, Cutting Tools and Consultancy Services in CNC Machining Application. Kriatec Services understood the need for seamless integration between Virtual CNC Machining Software – Edgecam, U.K, Cutting Tools, Fixture / Gauge Design and Readymade Trained Engineers availability for immediate employment. Kriatec Services (P) Ltd offers Industry Based Training Program to Educational Institutes for Ready made Engineers availability to the Industry. © 2019, Kriatec Services. All Rights Reserved.